Hiking Socks – Very Important Part Of Your Hiking Gear! Last Saturday I returned from the beautiful region of Galicia in Northern Spain where I undertook the Camino de Santiago (Way of St. James). It was a great time and I plan to add some detailed posts on my hike there over the coming days and weeks. However, for today, I wanted to share a post with you on something I learned while on this particular trek. I am very fit and have done many long hikes into mountains and across various types of challenging terrain. However, repeated long distance walking one day after another was new to me. Good Hiking Boots and Socks are Key! As one would expect, your hiking boots or shoes are critical for undertaking an on-going hike or walk like the Camino; one where you will be walking considerable distances day after day. First off, in terms of hiking boots, be sure to have a pair of boots with you that you have hiked in many times before and so are well broken in. Next, and I would chance that this is nearly even more important than hiking boots or shoes and at least as important, you need a good pair of hiking socks to not only wear with your boots, but compliment them! Why’s that? Well, the biggest thing to avoid on on-going hikes like this is of course the dreaded blister! There are many things you can do to help treat a blister should you be unfortunate enough to get one. Luckily, I did manage to avoid bad blisters on the Camino but I made another simple mistake which I am still confused as to how I was silly enough to do! In preparation for travelling to walk the Camino, I thought it would be wise to get some new hiking socks. I looked into what was on offer and bought several pairs of suitable socks. I have listed two pairs of excellent and highly rated hiking socks, one for men and one for women, below to give you an idea of what I am referring to. You can click on the image to learn more. Some hiking socks, like the brand 1000 mile hiking socks, are two layered. The theory is that the outer layer can comfortably move back and forward while the inner layer hiking sock liner remains secure against your foot. This prevents blisters from forming. This can also be achieved by wearing two pairs of socks, an inner liner sock and outer hiking sock. That type of double layer hiking socks came highly recommended to me from various sources. However, when using them for the first time I did two bizarrely stupid things which I should have known better not to have done! I put my first pair on brand new straight from the packet without giving them a few runs first or even washing them first! By the end of day one my ankle had swollen up significantly and although not painful, was quite itchy and irritated. Thankfully I had the sense to bring my normal hiking socks with me too so I put Vaseline on the irritated area and went with my normal socks from there on and that seemed to deal with the problem and the swelling went down. Overall, these days I tend to use Vaseline on my feet in conjunction with one really solid and comfortable pair of hiking socks. I find it works a treat and keeps blisters at bay, which is very important. I guess aside from washing new socks before wearing them on a hike, the key point I have taken from this experience, and want to emphasize in this post, is really that similar to hiking boots and shoes, even your hiking socks need to be broken in too to ensure they’re a comfortable companion while out hiking! Have you had any bad hiking experiences with hiking socks and blisters? We’d love to hear about it in the comments below! 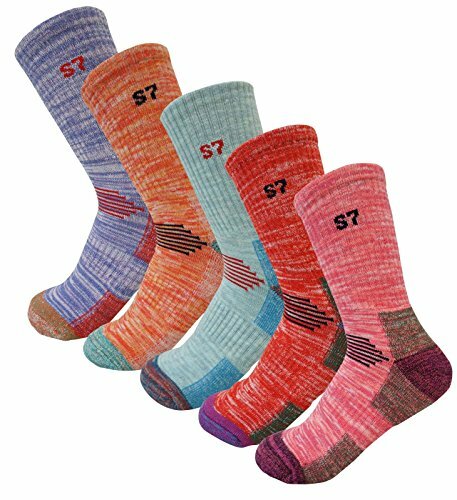 Update: we have since added a hiking sock buying guide on the site which provides more information on what to look for when buying a pair of hiking socks. 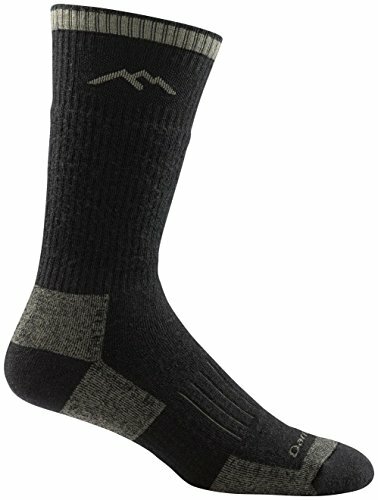 I think that anyone has hiked has had a bad experience with their hiking socks, whether they have gotten wet to the point of being uncomfortable or they dried in a way that made them annoying to wear. One thing that folks need to consider is that a bad sock can lead to bad blisters…which will in essence, end your trip. Nobody wants this to happen! Cheers to high quality socks! Yep, you have hit the nail on the head there! I rate hiking socks as important as hiking boots. The dreaded blister is the nemesis of hikers all across the globe and to be avoided at all costs!